This is another one of my favourite khoresht. 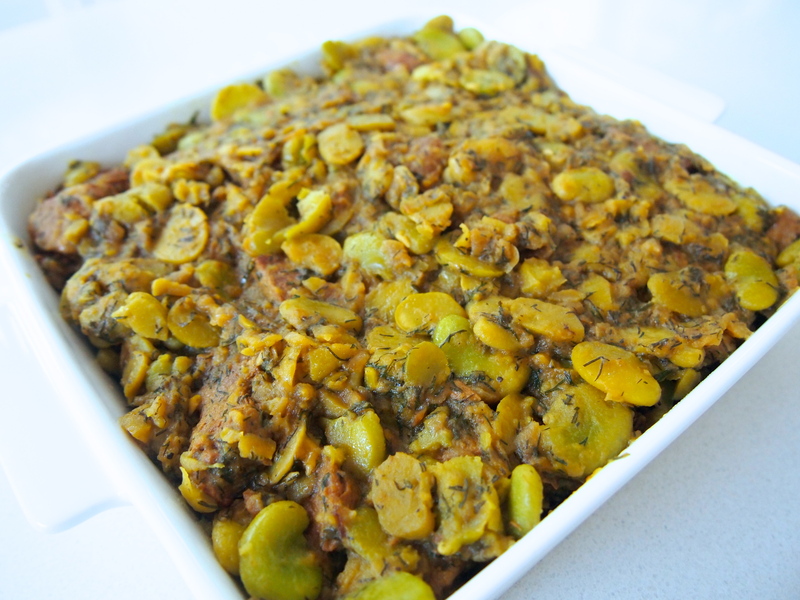 I adore broad beans and Persian food uses them in a number of different applications. In this slow braised stew the broad beans have been teamed with dill which is just one of those natural pairings and a match made in heaven. As far as Khoresht go this one is pretty easy to make in that there’s no tedious frying of vegetables, although the dill is gently sautéed for a few minutes before being added to the stew. My mother always sautés her herbs when making khoresht which ensures the sauce has a lovely vibrant colour. The other tip for khoresht bogoli is to not cover the pot after the herbs and broad beans have been added. Covering the pan at that stage will give a murky colouring to the khoresht with the broad beans losing a lot of their vivid green colour. 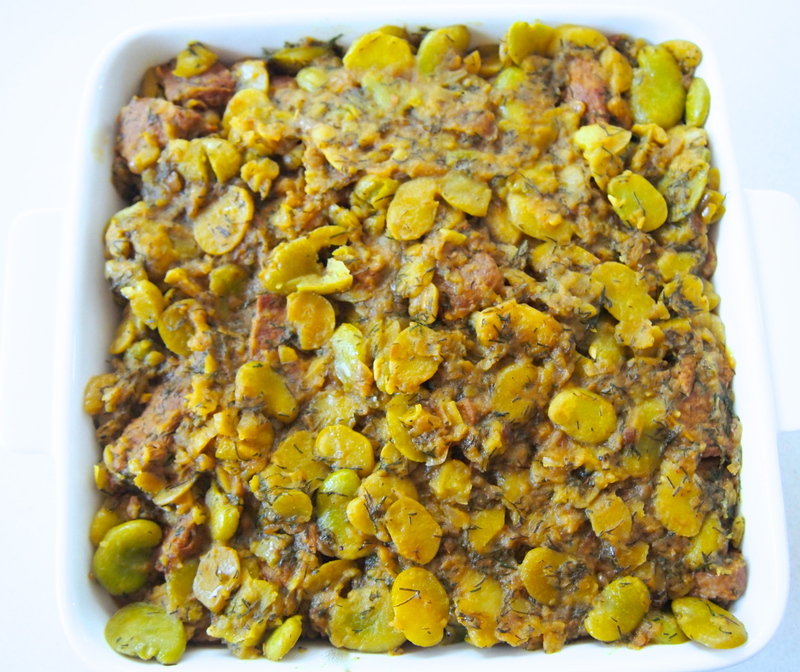 As with all khoresht, gentle, slow and long cooking is the key but your preparation time will be significantly reduced if you use frozen broad beans. 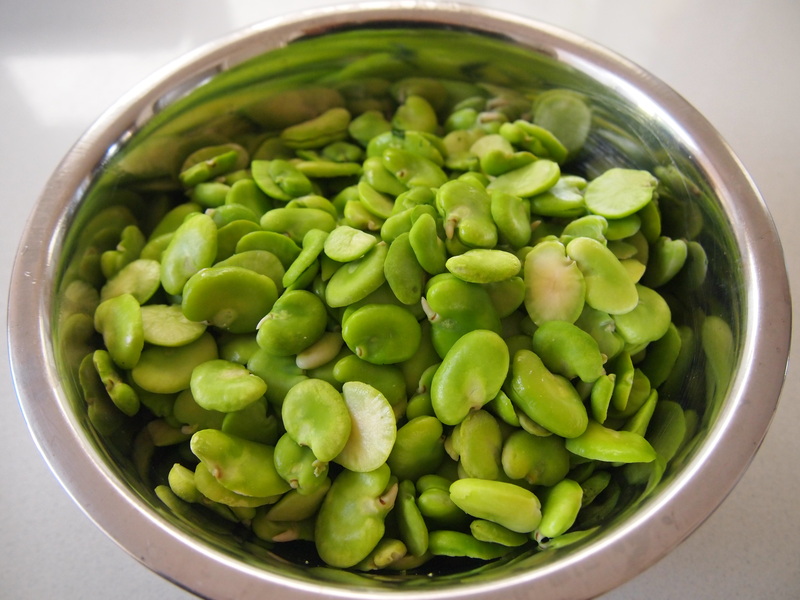 If you’re lucky you may even be able to find podded frozen broad beans – some Middle Eastern stores carry them but frozen broad beans from the supermarket will need defrosting and de-podding, but it’s still much less time consuming than using fresh broad beans. If broad beans are in season and you wish to use them buy enough to give you 600g after they have been taken out of their main shell. You’ll then need to blanch them in boiling water for a few minutes and then de-pod them from their second skin. As with all khoresht the only accompaniment required is plain basmati rice. Heat a generous amount of oil or ghee in a heavy based saucepan over medium heat (make sure you use enough as there are a lot of onions and you don’t want the onions to stick to the pan or burn). Add the onions and a large pinch of salt and sauté until the onions are golden brown. 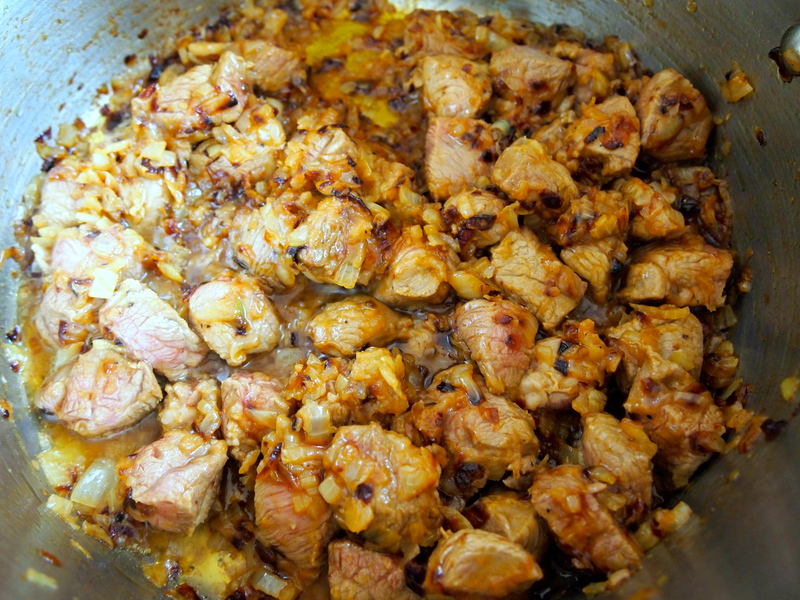 Take your time with this stage and moderate your heat so as the onions cook slowly and achieve a nice caramelisation. Add the turmeric and cook for another couple of minutes. 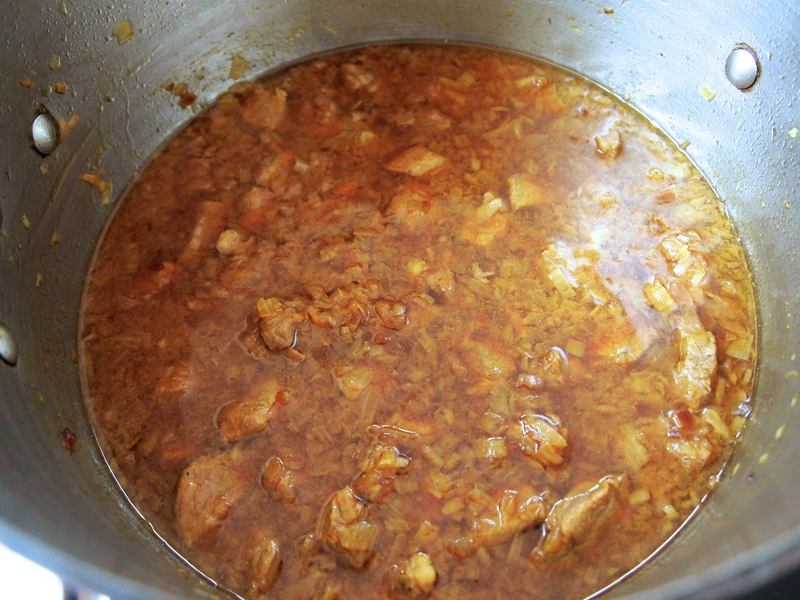 Increase the heat, add the meat and cook, stirring occasionally until the meat has changed colour. Add a heaped teaspoon of salt and a good few grinds of black pepper. Stir again and add enough boiling water to just cover the meat, with only the tips of the meat poking through the water. Bring to a simmer then cover the pan, lower the heat to a slow simmer and cook for about 1- 1½ hours or until the meat is tender. Whilst the meat is cooking, place a few tablespoons of oil or ghee in a small skillet or fry pan and place over low heat. 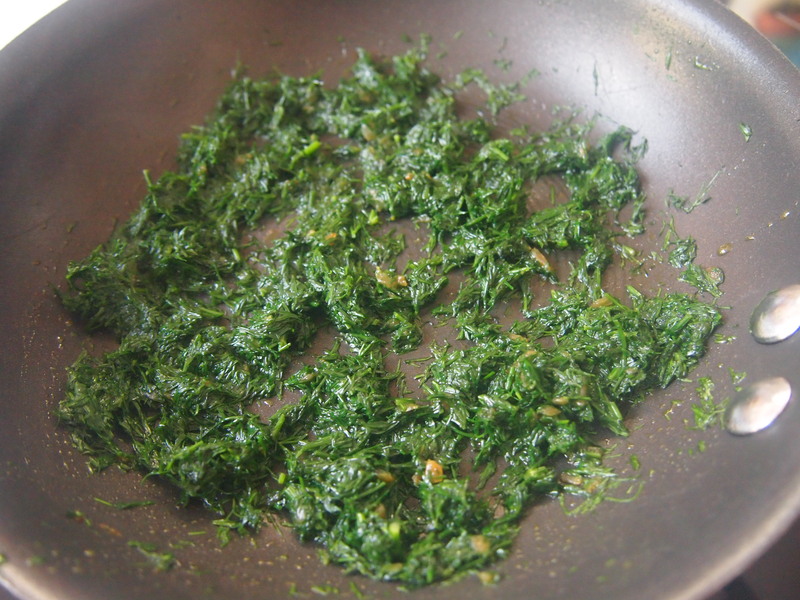 When the oil has heated add the dill and sauté gently for a few minutes until the dill has softened and the oil in the pan has turned a light green colour. Set aside. 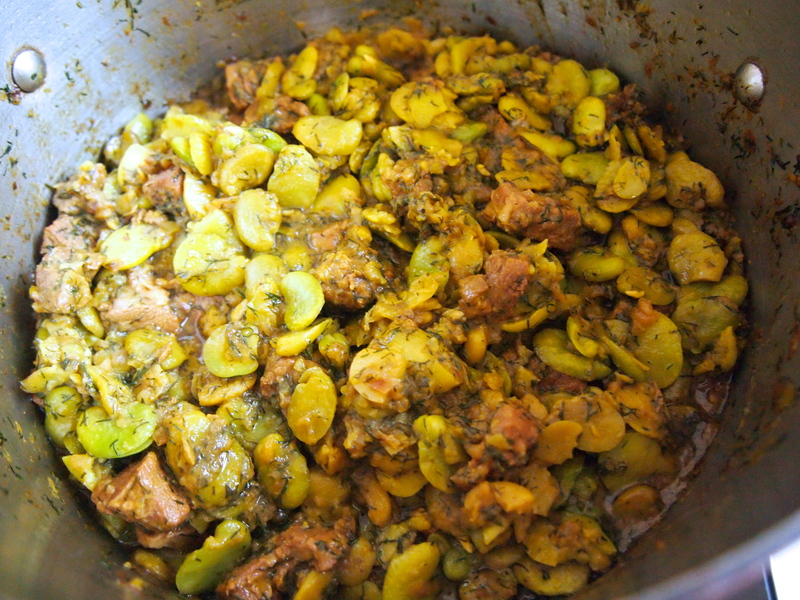 When the meat is tender add the broad beans, the dill – along with the oil in the pan, and the lemon juice. Stir gently to incorporate the dill and broad beans. Taste for seasoning and add more salt if necessary. I always find that at this stage I do need to add a little more salt. Bring the pan to a simmer and cook uncovered for about a further hour until the meat is fork tender. 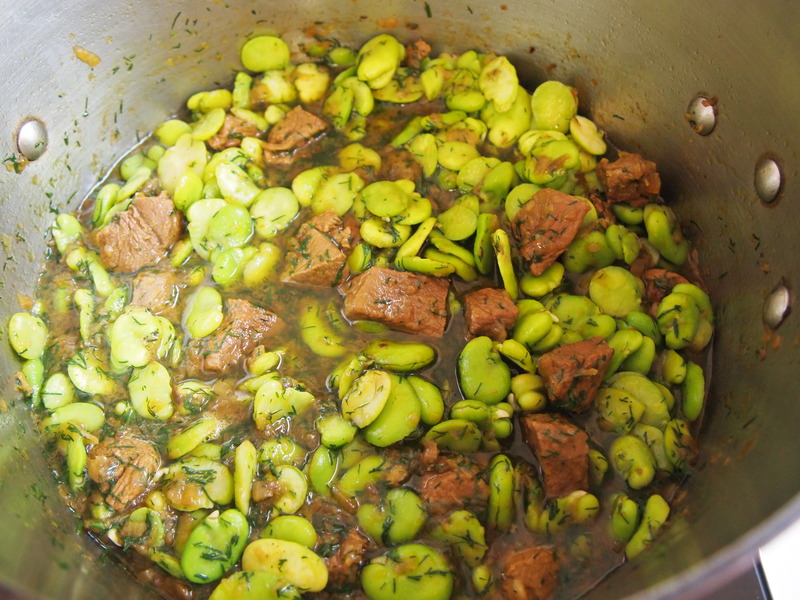 By the time the meat has reached this stage the sauce should have reduced sufficiently and the broad beans cooked through – nice and soft but not mushy. You want the khoresht to be quite thick with not too much liquid so if you need to reduce your sauce more just cook it for a little longer. Make sure that during this time your heat is nice and low and that the khoresht is only just lightly simmering and stir it occasionally (very gently) to make sure it’s not sticking. If your stove is quite fierce use a simmer pad and conversely if during the cooking time you find that your sauce is too thick just add a little bit of boiling water. Serve hot over basmati rice. Yum, that looks like a winter warmer. Can I use something other than dill which I’m not a fan of? Hi Special K, Dill is the traditional pairing for this khoresht but you could try a mixture of mint and parsley – about half a cup of finely chopped parsley and one third of a cup finely chopped mint, sautéed as you would the dill. I haven’t tried this combination but I think it would work. Having said that you’d be surprised how subtle the dill flavouring is. I think the initial sautéing and the long cooking time diffuses the strong dill flavour. Yum yum yum! I can’t wait for you or Uma to teach me this recipe!